Whatsup Everyone, as everyone knows this is our first week, but what a week it has been! We’ve been trying to provide you all with the freshest tracks everyday and I hope we have been succeeding!! Just yesterday I posted a jam by a new artist Pries, and that same day he tweeted us back (picture above) in my eyes that’s remarkable! Pries there is no need to thank us first of all, we’re here to spread the word of great music and your only helping us I hope you will be constantly providing new songs for us to post up here. Now with Wale, I hope you all know who this guy is, I’ve known him since he was a new artist making songs just to spread his name and man has he gotten far. I’ve been able to find some great songs by him or featuring him lately and I need to show you guys how good this guy is. 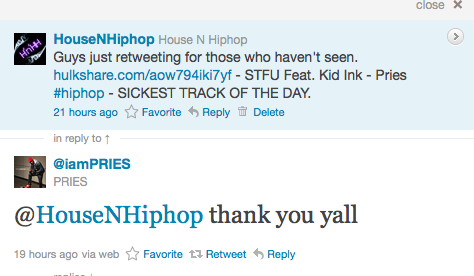 Remember to spread the word of good music, spread HouseNHipHop!! Pocahontas (No Shout) Feat. 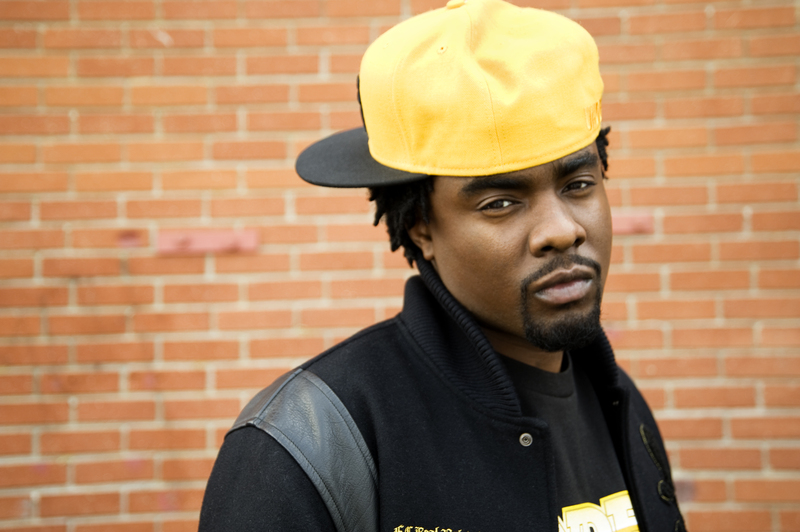 Wale and Twista.mp3 – Shawty Lo – Track Of The Day!